The aim in adoption of maritime equipments’ maintenance strategy is the reduction of risk in order to achieve safer navigation, to enhance environmental friendly behaviors, to increase the safety and positively contribute to the overall operability management of the ship. The use of weak maintenance strategy could result in waste of time, money and resources, and often has no effect on improving or maintaining the availability of equipments. In this article, we propose a model in evaluation of on non-deterministic factors that affect the ships’ safety and a framework for ships management governance. The review of maintenance strategies has proven that a decision support mechanism needs mainly multiple criteria decision on ship equipments maintenance strategy selection. Through Analytic Hierarchy Process methodology and the extended evaluation of results on adoption of Technique for Order Preference by Similarity to Ideal Solution a useful tool to prioritize needs at any level and includes the decisions that should be taken into consideration from the shore office managers and the ship personnel for the safe functionality of the ship is provided. In the presented paper, authors are concerned with a single-element system liable to costly failure. Failure is taken here to mean a breakdown or catastrophic event, after which the system is unusable until repaired or replaced. The mathematical modelling of maintenance decisions for such a system is provided with the use of delay-time and delay-time analysis. The directions for further research work are defined. 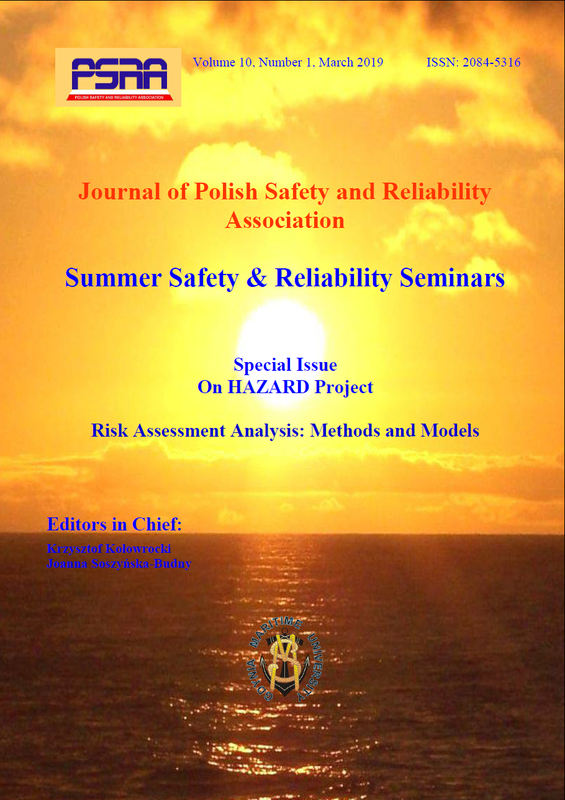 The paper presents a general approach to safety analysis of critical infrastructures that aims to suggest new and to develop existing methods and tools capable of supporting intelligent modeling and decision making in controlling and optimizing the safety of those systems and their accidents consequences risk. Its main focus is on the suggestions of the creation and usage of new techniques, procedures and strategies to improve and to optimize safety of real complex infrastructure systems related to the inside dependencies – among their subsystems and components and the outside dependencies – coming from their operation environment and from other dangerous events and natural hazards. The approach tries to create an original and coherent methodology of safety of critical infrastructures useful in ensuring and improving safety of those systems in various industrial sectors by providing an integrated package of solutions consisting of various packages of theoretical and practical tools ready for direct use by safety theoreticians and practitioners dealing with safety of real critical infrastructures.